Can bettas live with tetras? The good news is oftentimes yes! If you’re like me, you love the idea of a community tank. The only problem is finding the right fish to live with your betta. And if you love the look of tetras then they may be the ideal fish. However, there are some rules you should stick to when introducing tetras to the tank. Or your betta may not stay so friendly. 7 What Tetras Should You Avoid With Bettas? There are over 100 different types of tetra on earth. So asking if a betta can live with tetras is a broad question. There are a few common reasons tetras don’t make good tankmates. For example, they often nip fins. As well as this they’re schooling fish, so if they swim into your bettas territory it may spell trouble. Below are 5 tetras that can often live peacefully with bettas. And 3 tetras you should definitely avoid. 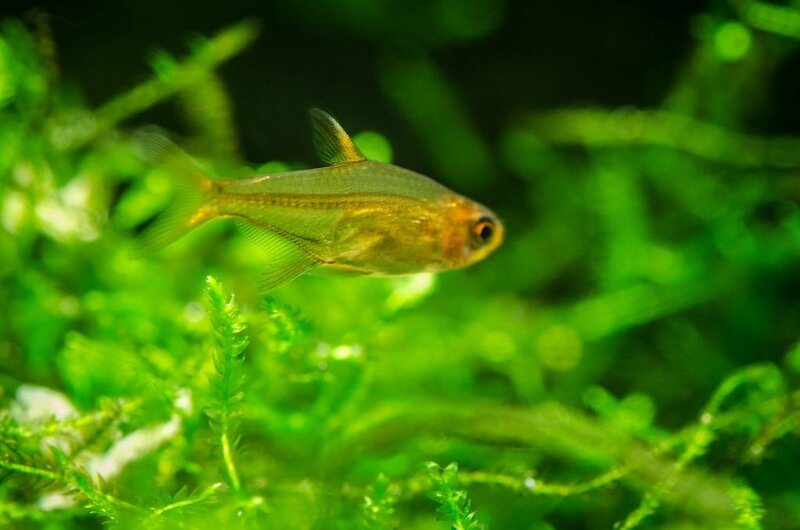 First, one of the most popular tetras. Neon tetras can be a great addition to your tank and a great tank mate for your betta. If you plan on adding neon tetras to your tank you’re going to need at least 6, but 10-12 is the ideal amount. At 10-12 their stress levels will be minimal as they’ll be in a good size school. Neon tetras make great tank mates because of their speed and where they spend most of their time. Your betta will oftentimes choose territory near the top of the tank. Which is great, because neon tetras swim around the middle, which means they won’t be butting heads all the time. And even if your betta does act aggressively towards your neon tetras, it’s extremely unlikely he’ll ever get a bite because of their speed. If you plan on buying neon tetras it’s no small commitment. They can live up to 5 years and grow to 1 and a half inches in length. If you’re not a big fan of neon tetras then another great choice is ember tetras! Once again, one of the biggest reasons to consider ember tetras is the fact they stay around the middle of the tank. So most of the time (apart from feeding time) they’ll stay out of your bettas way. And on the subject of feeding time, ember tetras and bettas can eat most of the same food. So if you planned on feeding your betta brine shrimp, bloodworms, or daphnia then your ember tetras will eat them too. You’re going to need to have at least 6 ember tetras at a time, but preferably 10-12. Often times ember tetras will school with neon tetras. However, if you plan on adding both to your tank you may need two separate schools in case this doesn’t happen. Lastly, ember tetras are a lot smaller than neon tetras, growing to 0.8 inches. This does mean that if one of them gets sick, there is a possibility that your betta will eat them. Another great choice is rummy nose tetras. Once again while your bettas territory will often be at the top or middle of your tank, rummy nose tetras will shoal around the middle or bottom of the tank. However, if you plan on adding rummy nose tetras to your tank you should know that they are the biggest tetras on the list. So you’re going to have to make sure you give them plenty of swim room. At the very least you’re going to need to have a 20-gallon tank. And luckily there are quite a few 20-gallon tanks to choose from. And also just like the other tetras rummy nose tetras are schooling fish. So you’re going to need to have a minimum of 6 in the tank to keep them happy and stress-free. Next up on the list of tetras you should consider adding to your betta tank are cardinal tetras. Similar to neon tetras but larger in size cardinal tetras can be a great addition. They are schooling fish so make sure you get at least 6 and remember that they will need a large tank (at least 20 gallons to swim in). If you haven’t before, why not consider black neon tetras? One of the reasons they make great tanks mates is their lack of color. Color often triggers aggression in bettas so this can be easily avoided with black neon tetras. As well as this most of the parameters a betta needs to survive are similar to them as well. 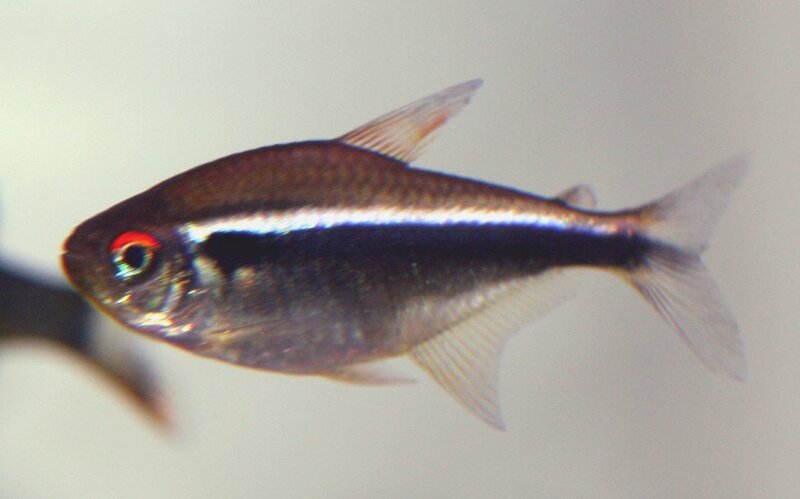 Black neon tetras should be kept in a school of 6-12 and you should make sure they have plenty of room to swim. What Tetras Should You Avoid With Bettas? Just like there are a lot of tetras that can live peacefully with your betta, there are some that you should definitely avoid. Black phantom tetras are great fish to add to your tank because of how friendly and docile they are. However, the BIGGEST problem with black phantom tetras is the fact they spar or “mock fight”. This can often be over territories, and while it isn’t a direct threat to betta fish, it does often stress them out and make them become more territorial in turn. If you’re going to have black phantom tetras then you should consider putting them in another tank. Also, black phantom tetras can often become nippy when they aren’t in a large enough shoal. Bleeding heart tetras are often known to be nipping fish and that’s the biggest reason you should avoid them. They are also incredibly speedy which means that your betta is going to have a hard time swimming away from them. However, this does also mean if you were to get bleeding heart tetras that were peaceful they would be able to escape a bettas nipping. If you insist on getting bleeding heart tetras then you should definitely add a lot of plant life to your tank to give your betta plenty of places to hide. You should also use a large tank to try and keep your betta and tetras from getting under each other’s skin. Serpae tetras are fantastic starter fish and they look amazing but you shouldn’t add them with your betta. The first reasons you shouldn’t add serpae tetras is because they are extremely nippy fish. They will often chase and nip fish that are slower than them. And to add to that, they also dislike fish that have flowing tails and are brightly colored. As you can imagine, putting them in with a betta will spell trouble for both fish. And lastly, serpae tetras will compete for food during feeding time. Meaning your betta may have a hard time not getting his food stolen from him. It isn’t advised to add tetras or any fish directly to your main tank when you first get them. Because if the fish you plan on adding are sick or carrying any illnesses then they may infect the tank. This is especially true with a lot of tetras. So before adding tetras to your tank, you should always add them to a quarantine tank first. 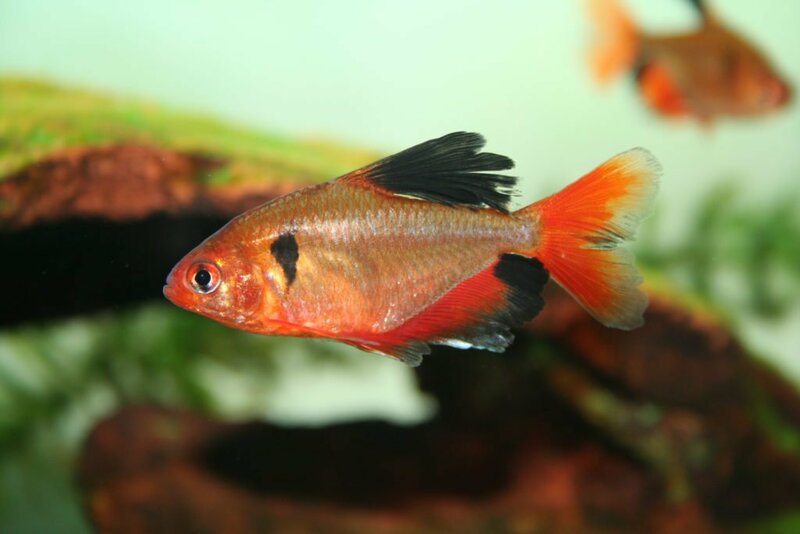 Tetras can often stress easily when being introduced to a new tank, which means they are more likely to develop an illness such as ich or velvet. When setting up your quarantine tank, you should add water from your main tank to acclimatize your tetras better. This is also more beneficial than using conditioned water because your tetra won’t have to acclimatize twice. Using a quarantine tank is especially important if you order tetras online. Tetras don’t ship well so if you can’t get your tetras from a local shop it’s well worth using a quarantine tank. If you notice fin nipping or the signs you can help minimize the chance of it happening again. The first thing to do is to make sure your tetra school is big enough. If fin nipping is occurring and you haven’t got 12 tetras schooling together, then try adding more tetras. This helps reduce stress levels keeping your tetras calm. Also, fin nipping occurs more often if tetras aren’t getting enough exercise, or can’t roam enough. So if you’re housing tetras in a tank that is too small then fin nipping may occur. If you think this is the case then you should consider buying a bigger tank that’s at least 20 gallons. And your tank should have more width than height when housing tetras. If after all this a tetra is still nipping your betta the only thing left to do is rehouse it. You can either move the tetra to a new tank or if you have to, try and take it back to the pet store. But if you do this, don’t expect a refund, and they still may not take it. Sometimes it’s not the tetras that cause problems, but rather your betta. Bettas may chase tetras around the tank in which case it can be hard to find a solution. If your betta or tetras have recently been added to a tank, then this chasing may pass once a betta has established his territory. However, it’s important to remember that bettas are often fish that need to be on their own. If your betta is chasing your tetras or starts attacking them, then you’ll need to remove him or the tetras. There are two things you can do in this situation. The first thing is buying a tank divider . By doing this you can place all your tetras in one half of the tank and your betta in the other. The only other option apart from this is move one or the other to another tank. As a last resort, you can try to take your fish back to the shop. It’s always important to remember that all betta fish are different. 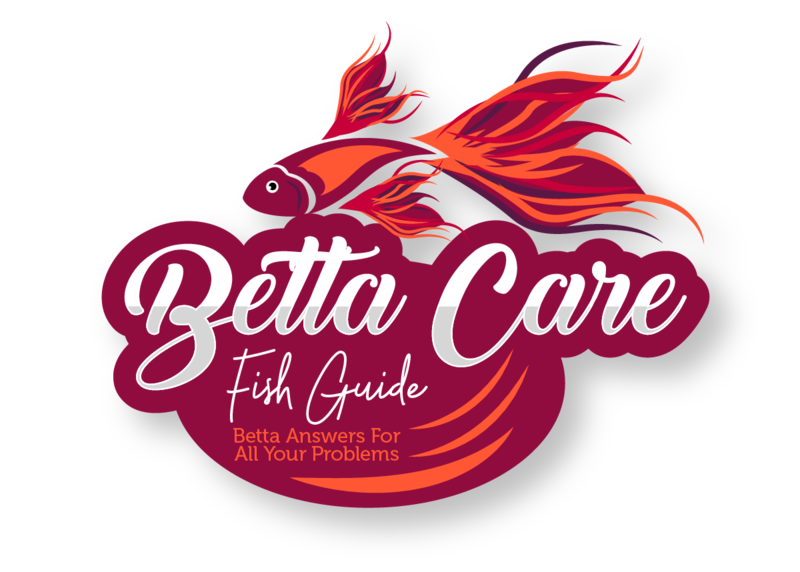 While the information on this page is useful in most cases, depending on the temperament of your betta, it may be impossible to house any fish with him. If you’ve never housed a fish with your betta before then you should have a backup tank ready in case he doesn’t want any tank mates. When you’re choosing tetras make sure they are adults. Even if your betta is friendly, they’re still opportunistic eaters. That means given the chance he may still try to eat a small tetra. Check to make sure that you aren’t buying a sick tetra either. You can tell an unhealthy fish by the way that they act. If they appear to be isolated, lethargic or showing clear signs of illness then make sure not to buy them. If you plan on adding tetras to your tank then they’re going to need a minimum of 20 gallons. Make sure that your tank has a lot of width as well. And even though 20 gallons is the minimum you should still aim bigger for a whole variety of reasons including, keeping the water more stable, reducing bioload and keeping fish happy. Betta Fish And Guppies – Contrary to what you may have heard, there are times when bettas and guppies can live together. If you want to find out how, and the ways you can improve the chances of that happening then read this article! I have glowing tetras and my Betta male is hiding from them, all of my Betta female are happy but my male looks weirded out. Should I split them? How long have the tetras been in the tank with your betta? If it’s quite a new addition then I’d leave it for a while. As long as your betta has plenty of places to hide and feel safe he should be fine.